Chubynsky, Pavlo [Čubyns'kyj], b 27 January 1839 in Boryspil, Oster county, Chernihiv gubernia, d 26 January 1884 in Kyiv. (Photo: Pavlo Chubynsky.) Ukrainian ethnographer and civic leader. Chubynsky graduated from the faculty of law at Saint Petersburg University. In 1869–70 he headed an ethnographic-statistical expedition to Ukraine, Belarus, and Moldavia and studied the daily life, folk customs, dialects, folklore, and folk beliefs of the people. 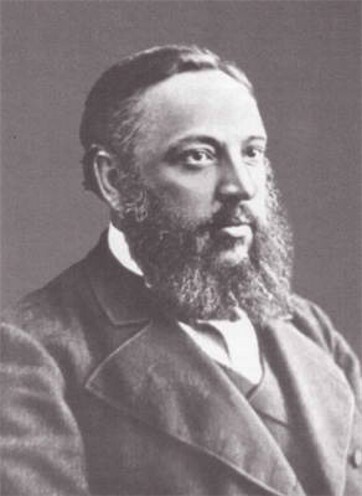 In 1873–6 he directed the Southwestern Branch of the Imperial Russian Geographic Society. His main works are ‘Ocherk narodnykh iuridicheskikh obychaev i poniatii v Malorossii’ (Outline of Folk Juridical Customs and Concepts in Little Russia, in Zapiski Imperatorskogo russkogo geograficheskogo obshchestva, 1869) and Trudy etnografichesko-statisticheskoi ekspeditsii v Zapadno-russkii krai (Works of the Ethnographic-Statistical Expedition to the West-Russian Region, 7 vols, 1872–9). Volume 1 of Trudy deals with folk beliefs, superstitions, proverbs, riddles, and spells; volume 2 with folk tales and anecdotes; volume 3 with the folk calendar, songs associated with spring rituals, harvest songs, and carols; volume 4 with birth, baptism, wedding and funeral rites; volume 5 with folk songs; volume 6 with legal customs; and volume 7 with the various peoples that lived in Ukraine. For his valuable research Chubynsky was awarded a gold medal by the Russian Geographic Society in 1873, a gold medal at the International Exhibition in Paris in 1875, and the Uvarov Prize by the Russian Academy of Sciences in 1879. Chubynsky is also known for his poetry; he published a collection entitled Sopilka (The Reed Pipe, Kyiv 1871) and wrote the words to ‘Shche ne vmerla Ukraïna’ (Ukraine Has Not Yet Died), later the anthem of the Ukrainian National Republic and of Ukraine. A bibliography of Chubynsky's works compiled by Petro S. Yefymenko was published in Kievskaia starina (May 1884). Referrals to this page are found in 22 entries.